Wow your loved ones this Valentine’s Day by following these 6 steps. February is peak gift giving season. Millions set out on a quest for heartwarming gifts to give their loved ones. But it’s not always easy. Trying to pick the perfect gift for someone can be a daunting task. ● Who needs an expression of my love? ● Why am I giving the gift? ● How do I want the recipient to feel? ● What impact do I want to make? ● What will put a smile on his/her face? Meaningful giving begins with careful consideration for the recipient. Consider what you know about them (their style, likes, interest, standard of living, favorite things) and select a gift accordingly. When you’re unsure of the recipient’s likes and dislikes, ask a third party for hints. There’s a difference between personal gifts and business gifts, and mixing the two might make the recipient uncomfortable. Gifts such as pajamas, loungewear, linen, clothing, fragrances and jewelry are not appropriate for the office and should be reserved for personal friends and family. Appropriate office gifts include stationary, executive pens, planners, specialty foods and beverages, books, electronic device accessories and office décor. Add a personal touch by including a handwritten note with every gift. Your note should include a brief message of appreciation or a recap of a memory. The way you present your gift makes a statement about you. A well-wrapped (or well-bagged) gift demonstrates your style and attention to detail. Use a high quality wrapping paper or gift bag when wrapping gifts yourself. Be neat and meticulous. If you’re a non-wrapper (and that’s okay) enlist someone to help you. Most department stores offer gift wrapping services for a small fee. Give out of sincerity, not obligation. 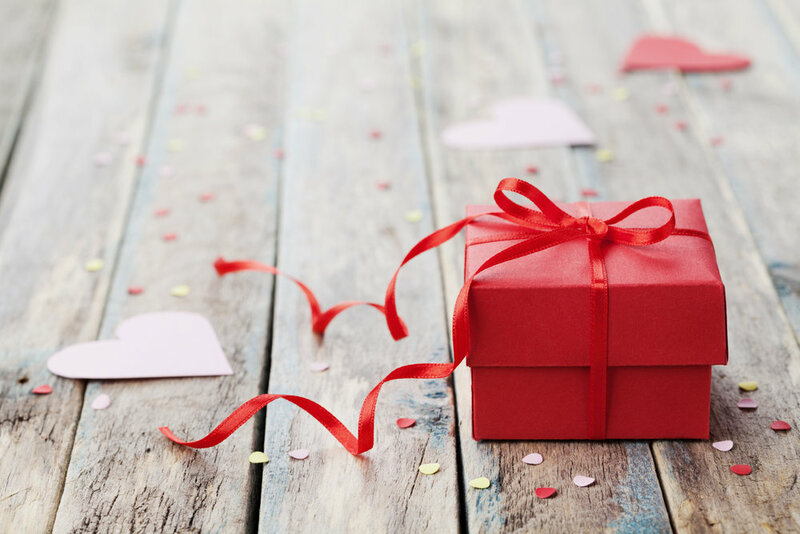 Before you embark on the gifting process, make sure your heart is in it. If you don’t want to give a gift, then don’t do it. But if you do give a gift, give it with whole-hearted effort and no strings attached. Will your goals make it past February this year?